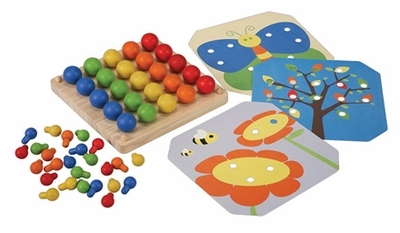 Has 2 sizes of wooden pegs, wooden board, 3 pattern cards, and 5 pegs for each color and size. Made of rubber wood and painted with non-toxic soy paint. Measures 6.9" x 6.9" x 5.9".